I received a bit of feedback on my last piece. One reader suggested that reality shows about wine should be the next trend. I agree. I mean it’s been tried before – 2 British blokes wandering Italy and sipping wine, youtube channels galore with guys and gals downplaying wine snobbery, and the short-lived I’m Getting Graphite -The Robert Parker Channel available on Roku. If you think of it though, a proliferation of wine shows would get some of the thirty thousand or so wine bloggers out of their pyjamas. And it couldn’t hurt as most of us are significantly underpotentialized. Here’s Pitch #1: “Twelve shallow, self-absorbed wine bloggers are locked in a house with a $20,000 cellar (above) curated by one of 0ur sponsors. Multiple cameras follow their every move. While they work their way through the cellar, fights about closures break out. Old World hounds align together and plot against the New World order. There’s a fight between Charmat Method versus Methode Traditionelle. And that’s just the FIRST week! At the end of each week, they are given a challenge – they have to name the grape, the country, region, and vintage of a blind tasted glass of wine. All facts known to the audience. The resident with the lowest score is kicked out of the house unless saved by the fifteen people watching on the Hulu channel. And that is repeated weekly until only one blogger is standing and he/she receives the remnants of the cellar.” Cool. It just needs a catchy name. On to real wine. This past week I received a case of beautiful wine that I split with a friend. 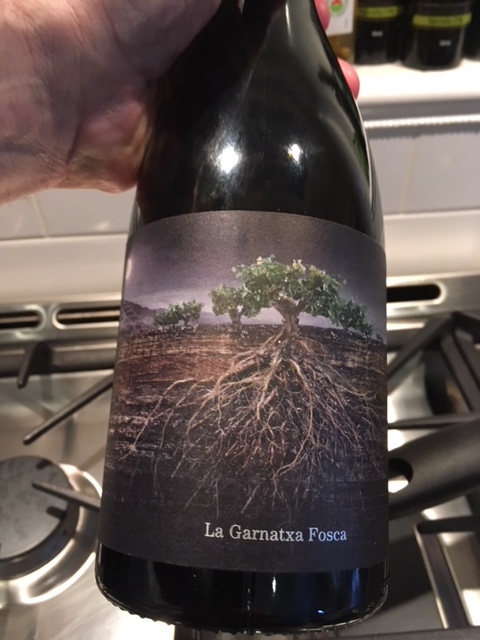 The 2015 La Garnatxa Fosca from Projecto Garnachas de España is a pure Garnatxa from Priorat. I thought that although it had a nose of Priorat with a floral vibe. It didn’t have the opaqueness, heft, mouthfeel that we associate with Priorat. It actually had the look and mouthfeel of a young Nebbiolo. Before a significant decant, it was crystalline, light, shy. Anything but ripe. But, upon getting that time on the shelf and in the glass, it opened to red raspberry fruit, a touch of funkiness, and a minty finish. Although Garnacha higher ABV (14.5%), little heat. I love wines that show you that they’re not a one trick pony. I mean, “Everyone deserves the benefit of being able to change for the better,” he says to those he’s wronged in the past. This wine will improve in bottle for many years. Shout out to importer www.wineonline.ca If you’re wanting to buy caselot(s) of wine that you can’t always get access to, they have a great portfolio of wine, craft beer, and some foods. In fact they have my new favourite Crianza Rioja – Lopez de Haro @ $14.95 per. Bargain! Shipping of a case or more is free. From this week’s release (April 14), there are a number of solid picks. There’s a little Italian red that I’ve fallen in love with. I first tasted it at the Grande Marche that I attended a few years ago and since am always on the look out for it. 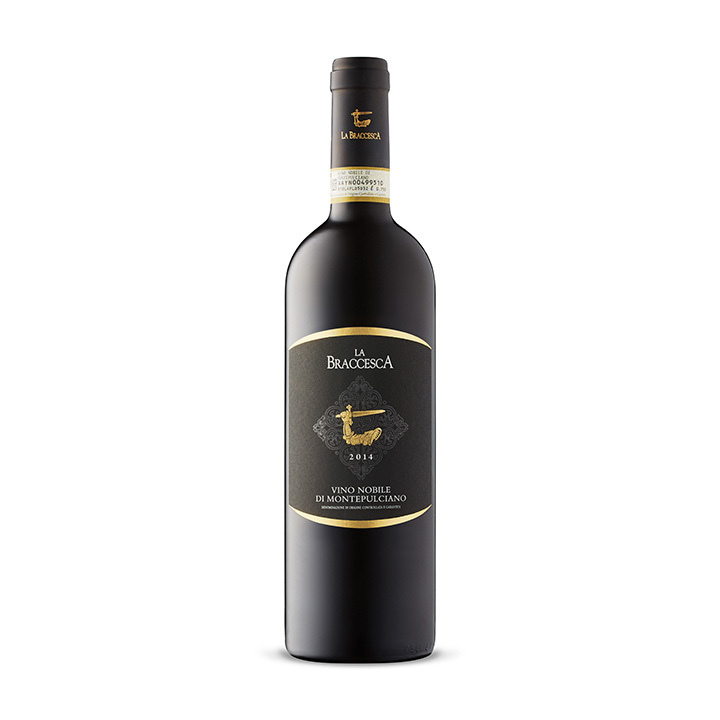 The 2014 La Braccaesca Vino Nobile di Montepulciano #566216 $24.95 is a perfect example of what’s right with Vino Nobile di Montepulciano. It’s a beaut. I had this vintage while in Italy and it blew me away. Smells of a Chianti-style Sangiovese – cherries, spice box, celery salt (not kidding. I know from celery salt, having rimmed a billion Bloody Caesars. And Bloody Caesars, as we know, are the life blood of many of us before noon). Medium bodied with a distinct vein of acidity that leaves you smacking your lips. Not enough acid or tannin though to cover up the myriad of flavours – cherries, leather, a little barnyard (yum). This is a rocking food wine. Maybe something as simple as a tomato/mozza pizza or a tomato pasta with basil and some sausage. What a great DOCG, Vino Nobile di Montepulciano. This has become a great story for me. It used to be inconsistent, bland, wandering to find out what it wanted to be. Now solid producers like Antinori, in this case, and Dei have rejuvenated this place for me. Since Gord Downie passed, I’ve been living on Spotify binges of Tragically Hip and regret that I never saw them live. 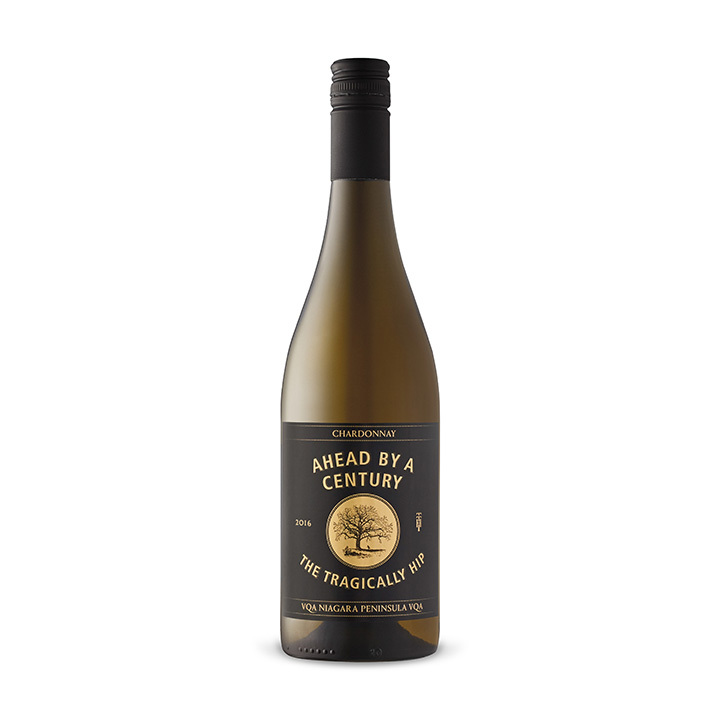 Well, at least those of us who didn’t can swill some 2016 The Tragically Hip Ahead By A Century Chardonnay #483875 $19.95. This is made by Stoney Ridge Estate Winery, I believe. The style is moderately oaked until a finish which carries some butter. Flavours are citrusy with the typical green apple of Chardonnay. This is a nice Chard for afternoon sipping and falling off, I mean sitting on, the dock. I took a wander down to Niagara with my niece a few weeks ago. My goal? To see as many wineries that were new to me as possible. What actually happened? First let me explain that there are over 100 wineries in Niagara. And, yes, I should be able to spend a day seeing only ones who’s threshold I haven’t crossed. Well, I tried and saw two of the new ones. But, I still had to take her to Tawse and Malivoire. It’s just not a trip down there without my Visa getting a workout at these two places. This week, there’s a very nice red from one of those guys waiting for you – 2016 Malivoire Gamay #591313 $17.95. Gamay is done really well here. 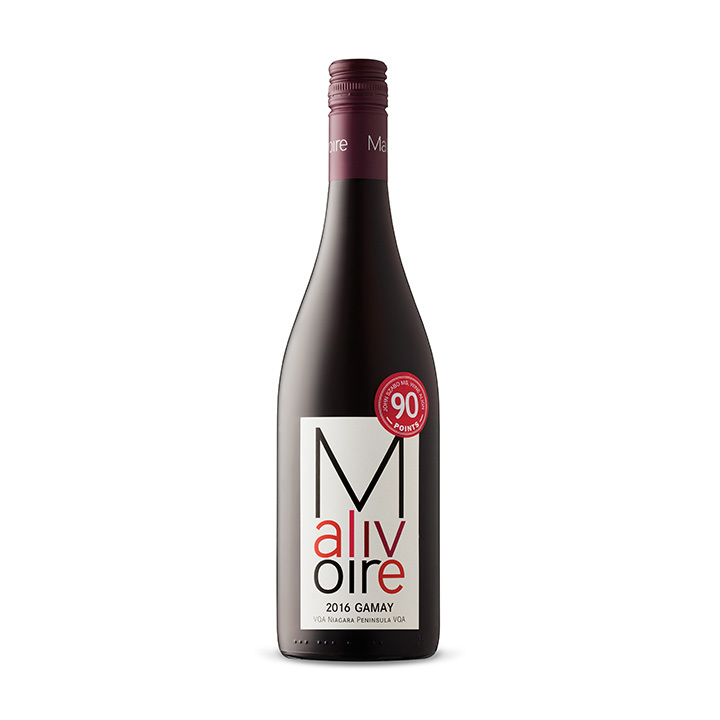 Malivoire has a Small Lot Gamay that’s worth scouting and ordering on line. This one isn’t as complex as that – straight forward, fresh wine. Feels like you’re at the winery even when you’re home. Red, red, red fruit. A little heavier in the mouth – hotter – than usual but a very nice sipping wine or with noshes, salads. A slight cill doesn’t hurt this wine either. Perfect summer hostess/host gift. Keep an eye out for the mess of Provence and Tavel rosés which should be hitting the mothership soon. Pitch #2: “Four wine bloggers are given different already prepared stages of a three course meal. Then they open a mystery basket of wine barrels. Well, maybe we have to work on that part seeing as barrels are bigger than baskets. 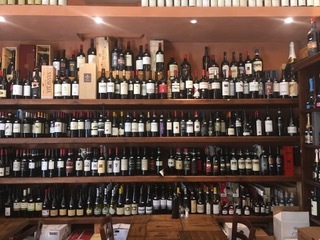 But, suffice it to say, there are several barrels of different wines.They have 25 minutes to blend the perfect wine to go with the appetizer, main, or dessert that they are presented with. The worst blender drops off each course. Their wines are judged by other wine bloggers (some savvy cross-marketing with Pitch #1). Winner after three courses gets to take the barrels home and claim the title – Top Blend Champion.” What do you think? Maybe have to work a bit on the television ideas. Help me out if you’ve got a good one.